Debt is a scary thing. It’s especially terrifying when it’s standing between you and your long-term goals. Whether you want to travel the world, buy a house, or send your kids to college, debt can be a huge hindrance on those plans. This is why you need to start working now in order to get your debt under control. Even if it seems like an uphill battle, there are ways to escape debt and achieve your dreams. People who have a large amount of outstanding debt need to carefully keep track of their finances. Being reckless with debt can lead to serious issues—such as bankruptcy, which will destroy your credit score, and possibly make it harder to get a job. Putting together a budget is the first step to escaping debt. Here’s what you’ll need to accomplish this: Get all your financial information—including debt obligations, income streams, and bank account statements. Add up all your fixed and variable expenses. This can include things like insurance, utilities, subscriptions, memberships, food, one-time costs, and emergencies. Determine how much of a deficit you’re running on a monthly basis by subtracting expenses from income. Figure out ways to reduce spending in order to have a sustainable budget. It’s necessary for you to cut some costs out of your life if you want to get out of debt. But how should you go about doing this? You need to start by identifying the things that aren’t really essential to your life. Start with things like gym memberships. How often are you actually going to the gym? If it’s less than once per week, you can probably just get the same benefits by exercising at home. Try watching guided videos on YouTube. Alternatively, if you are using your membership, look for a gym that has a lower monthly fee. The same goes for streaming subscriptions and cable. These things aren’t inherent to your livelihood or happiness. Determine if it’s possible to cut them out of your life and save a good chunk of money and time each month. Oftentimes, the last thing people with a lot of debt want to do is talk about it. But you’re not going to achieve your goals if you don’t ask for help once in a while. Some lenders will work with people in order to make your payments more affordable. They want to get paid back as much as you want to reduce your debt. 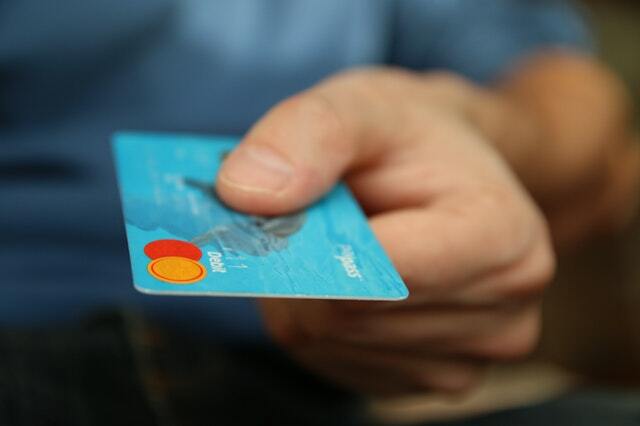 You can try transferring credit card balances to take advantage of low introductory interest rates. This can afford you some time to catch up on your debt payments without accruing interest. Just be aware that these low rates will expire at some point; so, you need to make a concentrated effort to pay down your debt during the grace period. People who are in a really serious situation with their debt can also look to a debt negotiation service. There are companies that specialize in debt reduction services. Freedom Debt Relief is one of the most reputable organizations in this industry. They’ve worked with tons of people, and have a strong history of assisting people to get out of debt. In fact, some individuals who work with Freedom Debt Relief are able to completely eliminate their debts in as little as 24-48 months. How often are you using those golf clubs in the closet? What about all those expensive pairs of shoes? If you want to get out of debt, you need to seriously evaluate what’s important to your life. Items that you only use once in a blue moon, if ever, aren’t contributing to your happiness. They’re simply keeping you from achieving your dreams. The best solution is to just sell these things. Not only will you free up space, you’ll generate some cash flow in order to pay down some of your debt. If you have a storage unit, you need to sell what’s in there. It’s clearly not that important to you if it’s not even at your residence. Plus, that unit is costing you big bucks each month. Everyone deserves to reach their goals in life. But debt is a huge roadblock in getting there. Fortunately, it’s possible to get out of debt if you make frugal financial decisions.